Les Baxter Tribute: Les Baxter Tribute. Great! Fantastic! Keep going on with Les. The King of exotica. And what a pity that so few people left a comment. I don't understand for there are so many Les fans. I hope for more. Les Baxter also wrote songs for Martin Denny to perform and record. Les was a musical genius. I love all the Les Baxter albums I Have!!! hi, thanks for this wonderful blog... so much to get!!! i just found an excellent copy of lex baxter's "young pops" this morning and i see you are still in need of a linked copy. will be posting soon on my my blog and will come post link. thanks for the excellent effort in bringing together the music of an amazing man. Thank you very much for this site. It's a great and excellent idea. According to the All Music Guide the Pop Side released in 2000 is a compilation of his non exotica sides already contained in other releases listed here. If it's not much to ask, but perhaps Scott had The Primitive and the Passionate from CD with better quality, if you don't upset. Great many thanks to the two. Les composed music for Seaworlds and theme parks. Does anyone know if these recirdings are still extant? Another question I have is whether there is still unreleased recordings of his music sitting in the Capitol vaults? You can't hve too much, you know! I have "The Cry of the Banshee" and (if im not wrong) "The House of Usher". I'll try to send you both links today, if you'd like it. thanks for the great blog and massive collection. The 2 Distant Earth contributions (Jungle Jazz and Teen Drums) are no longer valid links. Does anyone have links for these two albums? Baxter's Best link is also dead. What about the yma Sumac album "miracles"??? Hi .. this is a great resource, thank you. I am trying to spread the word of Les Baxter. 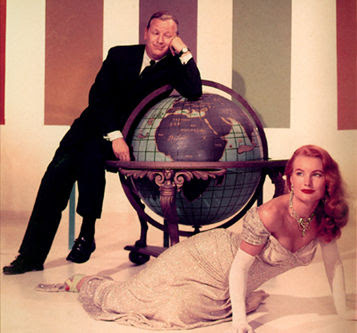 Your link to "(1956) Les Baxter's La Femme" is down if you're able to repost it please?